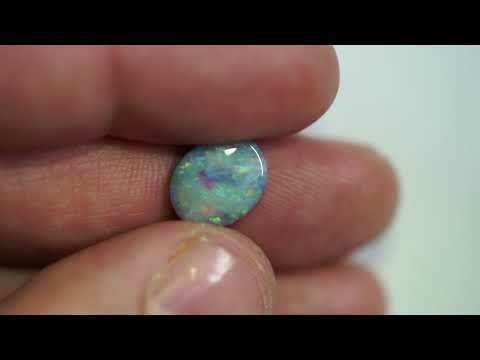 This opal is just as beautiful as it appears on the images ! A stunning and beautiful gemstone, ready to be made into a gorgeous piece of fine jewelry! Perfect as a pendant or ring stone. This stone just lights up with amazing colors! Beautiful pattern! 4 out of 5 in brightness, very bright! It's a dark stone N5 in body tone! Looks absolutely fantastic under any light! * The size of the stone is 12.2 x 9.8 mm. * The weight of the stone is 2.11 ct. Shipping Charges: To USA FREE, Australia FREE, Rest of the world FREE for insured air mail. Other services available by contacting me. Shipping time is 5-10 days to the US/Europe.